Is a Rate Cap on All Consumer Loans Really The Best Solution? Rate caps for consumer loans hit the headlines again, as the Obama administration proposed changes in military loan requirements. Basically, the new protections would extend the Military Lending Act rate cap of 36 percent to “loophole loans” or those loans that did not fall under the old rules of the legislation. In 2007, the Military Lending Act regulations were enacted to cap the interest rate for military payday and vehicle title loans at 36 percent. They also added a few other consumer protections to those types of loans. The rate cap didn’t apply to all loans -- open-ended credit and installment loans – as an example. So the new rules would extend the rate cap to those loans as well. Now the debate is raging over whether or not, this cap should also be applied to all consumer loans – not just ones to servicemen. Supporters of the rate cap argue that uncapped loans put poor and working-class people in a worse financial situation then not having access to the loans at higher rates. They also think that many of the lenders practice fraud and take advantage of the ignorance of consumers. In their view, a national rate cap is the best way to control those lenders who act deceptively. Currently, there are bills in the House and Senate applying the 36 percent cap to all kinds of consumer transactions -- payday loans, mortgages, car loans, credit cards, overdraft loans, etc. Others question whether a rate cap is the best way to meet the needs of those who legitimately need access to loans – even if they come at a higher rate. They also think that the focus of legislation should be on penalizing fraudsters who don’t follow current rules, such as disclosing clearly the details of loan agreements. In other words, focus on enforcing existing rules before enacting additional rules for those who are providing a service to consumers who need it and are doing it the right way. By classifying all lenders as “predatory lenders,” officials can unintentionally create a situation where borrowers who need emergency financial help choose illegal and dangerous help on the black market, from bona fide loans sharks. Of course, we all know that some payday lenders, like those in just about every other type of business, are bad eggs. They don’t seek to provide a service at a fair price, but seek to gouge or deceive those who are in a desperate financial situation. But, you can’t pin that label on every lender. 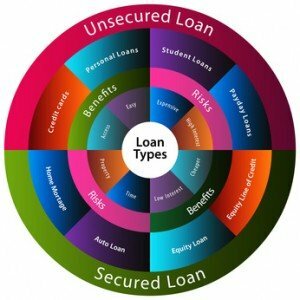 One of the reasons payday loans cost more is they are riskier than your typical personal loan. If more borrowers are likely to default on a loan, the provider has to charge more to everyone who borrows. Why? They don’t know who will end up not paying. It’s not necessarily fair, but it is good business. Otherwise, no one would offer high-risk loans at all. You may be tempted to say good riddance. But here’s the problem. Poor and/or working class people – or really anyone who can’t get a bank loan -- has no other options if they face a financial emergency. Consumers can also incur higher fees than high interest rates on a loan. What happens if a vital service like electricity gets cutoff? Let’s say, the consumer owes a past due amount of $200 and they don’t pay it. Then they have to pay the $200 and the current bill (another $200) plus a disconnection fee to get services restored. Many times there also on the hook for a month’s bill as a deposit. By the time all is said and done – they are without power until they come up with $400 to $600 or more. Do you think this borrower would prefer to pay a higher interest rate or have no way to access the $200 they needed to pay the overdue power bill? Yes, there is a higher than normal cost to borrow money when you have bad credit or no banking history. But is it higher than the cost of eviction from an apartment, disconnection of vital utility services, lack of medical care or an inability to buy groceries to feed a family between paychecks? Many “supporters” of rules like rate caps fail to see the plight of those who actually use alternative financial services like payday loans and cash advances. Why? Primarily because they have no problem strolling into a bank and getting a loan any time they want or they can access low-interest credit cards whenever they have a financial emergency. Unfortunately, not everyone who faces a financial emergency has that luxury.